Come on, we have all thought it as entrepreneurs, at one point or another in our careers: “I just wished I could clone myself in finding new employees for my business. Nobody works harder than me. Nobody is as smart as me. I don’t trust anybody to make decisions or manage teams better that I do.” Sound familiar? 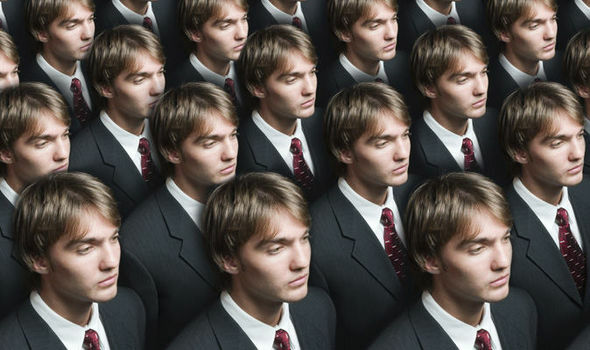 But, is cloning yourself really the right solution for your hiring goals? There are clear advantages and disadvantages of a strategy like this, so you will need to figure out if cloning yourself will help or hurt your business, based on your business’s specific needs. Read on. THE ADVANTAGES OF CLONING YOURSELF? THE DISADVANTAGES OF CLONING YOURSELF? To me, the decision whether or not to clone yourself comes down to a couple key things. First of all, what the business needs to be successful should outweigh everything else. Let’s say you are hiring a head of finance, and one candidate has a dream resume and a track record of proven success for the position, but perhaps the personality is not as outgoing as yourself. But, another candidate has an okay resume, but a great personality fit. At the end of the day, who do you trust more to “have their hands on the steering wheel of your business”? The person that has solid experience and references, or the person that could do the job, but you would rather have a beer with? In a perfect world, you want everything you are looking for in one candidate. But, more times than not, you will only get 80% of what you are looking for in one candidate, and you have to be careful to prioritize what of the 20% they are missing is going to do the least damage. Secondly, it comes down to what do you need personally. If you did a critical assessment of yourself, are you sure you really need a bunch of “Yous” running around the office. What do people say about you in your employee reviews from your peers? Are you creating more chaos than calm? Are you pulling the company in different directions all the time, without a clear focus? Maybe what you really need is the opposite of yourself. You need your Anti-Me to help keep yourself organized, on plan and in check. It really comes down to what you see as your personal strengths and weaknesses, and filling in any voids in your skillsets. And, better yet, maybe it is less what you think about yourself, and more what your team thinks about you. So, man up, ask the tough questions, and get honest feedback from your peers, when needed. I have tried to present both the plusses and minuses of cloning yourself in your business, and gave examples of when to do it, when not to do it. But, if you forced me to side one way or the other on this topic, with all other things being equal, if you can find people that share your same passion, vision, energy, work ethic and skillset, good things should surely follow. But, if you can’t find more “Yous”, that can be perfectly fine too, as greatness comes in many different shapes and sizes, and having new ideas and fresh perspectives can be equally invigorating for your business.